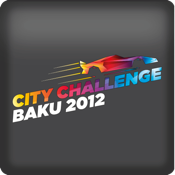 City Challenge features top-class GT racing through the streets of Baku, Azerbaijan, from 26 – 28 October 2012. We offer you the chance to watch the races live. Former Formula 1 stars like 1997 F1 Champion Jacques Villeneuve and Jos Verstappen will race a Porsche 911 GT3 R during this event and will battle against talented drivers with impressive other machines like the Mercedes SLS AMG GT3, Lamborghini Gallardo LP600 and the Ferrari 458 Italia. The track is located in the city centre of Baku, around the House of Government and near the seaside boulevard. Normally are GT cars running on permanent circuits. Racing through the city streets is however something completely different. The walls are close and run-off areas are limited. The smallest mistakes could force a driver to retire after having contact with the concrete walls. However, this increases the excitement!